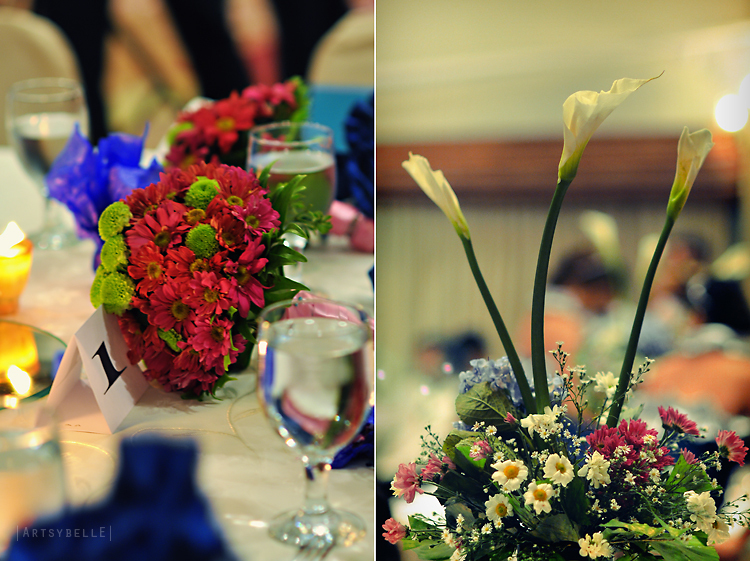 One weekend, I was assisting a friend to a wedding event. 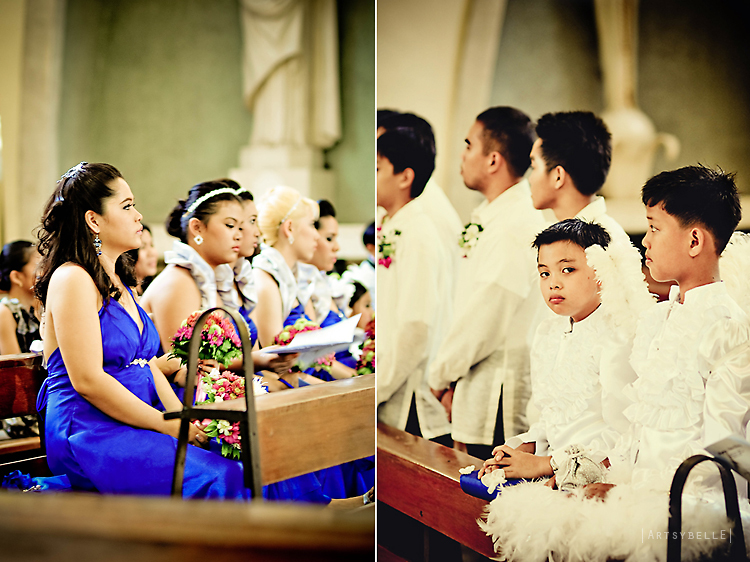 The wedding was solemn and full of emotions from the couple, family, and guests. Other than it was a day to celebrate love; there was also a shroud of somberness because the bride's father was admitted to an ICU the day before the wedding. A black butterfly came to visit during the church ceremony. 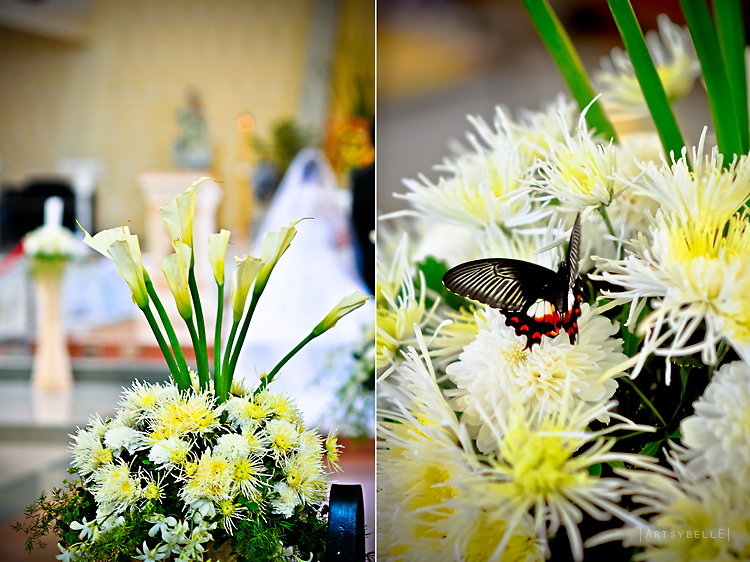 In our culture a black butterfly signifies a soul and many believed that the butterfly represented the bride's father who wanted to be there for his daughter during her special day, but who could not be there physically. 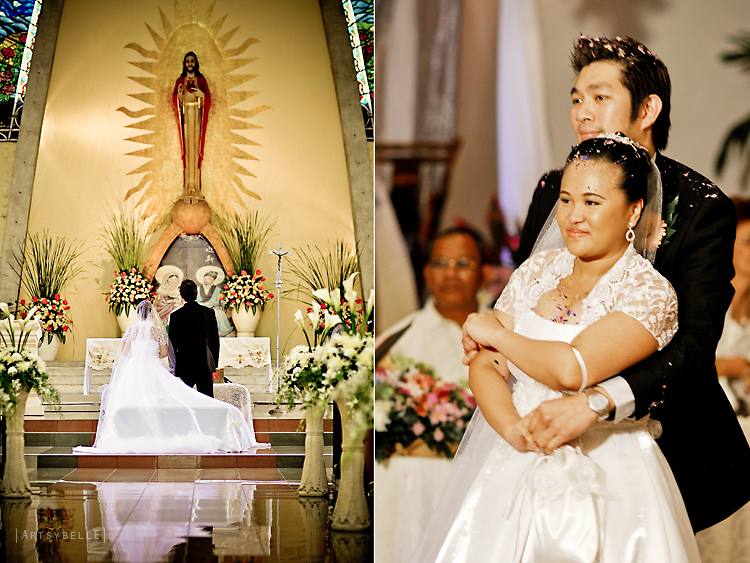 The day also turned out unexpectedly for me because I found that the bride was a former batchmate in college. What a small world after all! Below is a snippet of a wedding coordinated by Karen of Kai Concepts who did an awesome job to bring to life a heavenly theme of blues, angel wings, and beautiful flowers.